Read Nintendo Life’s full review for more, and visit the game’s official website. 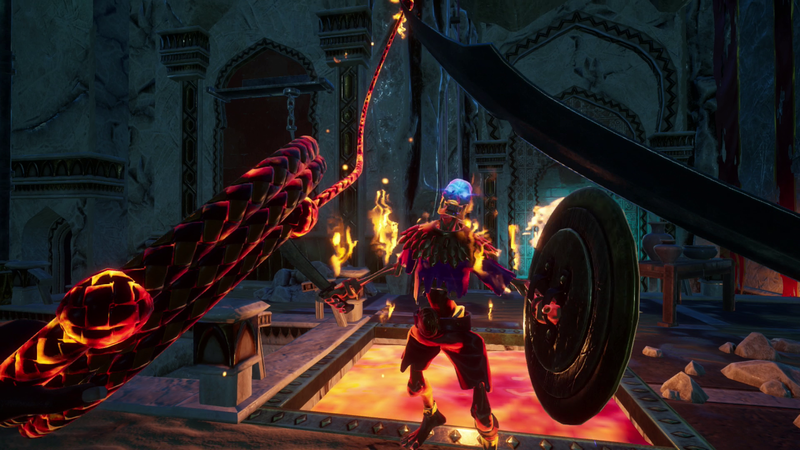 City of Brass is out now on Nintendo Switch and is also available for PlayStation 4, Xbox One, and PC. This entry was tagged adventure, Arabian Nights, cityofbrass, Dom Reseigh-Lincoln, first person, hackandlash, indie, indie game, indie games, Nintendo, Nintendo Life, Nintendo Switch, review, Rogue lite, rogue-like, roguelike, roguelite, Stride PR, switch, Uppercut Games, uppercutgames, video game, video game pr, video game pr agencies, video game pr agency, video games, videogame, videogames, whipit. Bookmark the permalink.